We are very happy to announce that Bieg Plumbing was awarded by the City of Herculaneum with the “Citizen Of The Month” award in recognition of all the dedicated service provided on the expansion of Kade’s Playground. Between 2015 and 2018, we were able to provide the City of Herculaneum assistance in engineering, project management, labor and materials to help complete the “Kade’s Pavilion Rest Station” and the latest addition of the splash pad, which will be open to the public in spring of 2019. We are very proud of the fantastic workmanship provided by our plumbers, who installed in excess of 1000’ of supply piping from the pump house to the water features and drains, back to a 5000-gallon underground filter tank. The volcano-themed playground was named in honor of Kade Bauman. Kade had Mitochondrial Disease, which kept him confined to a wheelchair, with vision impairment, seizures, and no ability to develop muscle mass. He loved playing on playgrounds with his older brother Jackson, but there was not a wheelchair accessible playground anywhere in Jefferson County. The Bauman family had to drive to St. Charles County or Clayton in order for the two brothers to play side by side. The initial start-up will begin in May as Bieg returns to the site, to assist with any final touch-ups and provide training on how the system operates. We greatly appreciate the opportunity to help the community on a project that will improve the community. The new Kade’s Playground will not be just for kids, it will be accessible to everyone, including adults and anyone with disabilities. With the addition of the splash pad, visiting Kade’s park on those hot summer days will be all the more enjoyable for all. Nobody likes a clogged sink. But how many of us know what to do when the drain becomes a pain? Below is a list of three easy ways to unclog your sink that do not require you to be a professional plumber. It’s chemistry! Baking soda and vinegar have made thousands of science fair volcanoes erupt over the years. But did you know that this mixture is also an effective and all-natural way to unclog a drain? Simply pour a ½ cup of baking soda into the drain, then pour ½ cup of vinegar on top of it slowly. 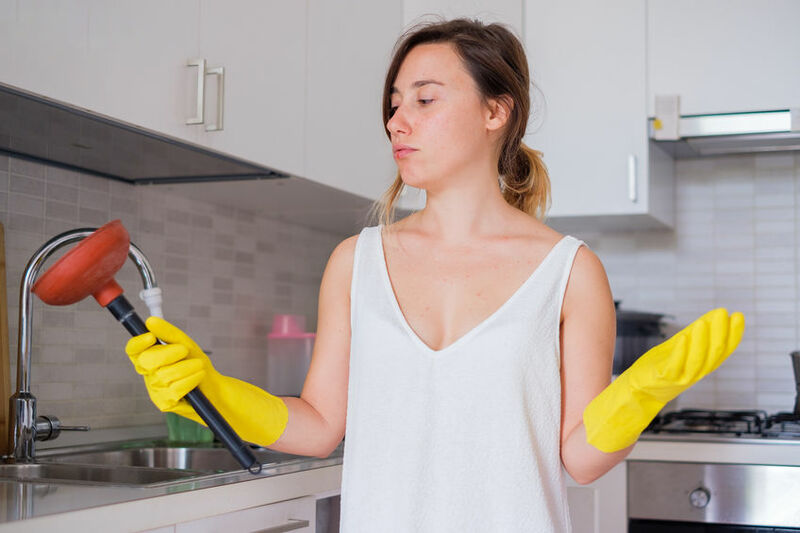 Allow this solution to work for at least an hour to de-grease and erode any organic matter that may be in the pipe, then rinse with hot water. In hot water. A watched pot never boils, but a boiling pot can unclog a drain. Boil a pot or kettle of water and carefully pour it down the affected drain. You’ll want to take your time with this to allow the hot water to eat away at the debris. If necessary, pour the water out intermittently. Wire service. A classic wire coat hanger when straightened can be an effective drain snake. Straighten the hanger but create a small radiused hook at one end. Push the hanger into the drain and dig around with the hook until you catch the obstruction. Pull it out slowly and dispose of the offending debris. If you still cannot get your drain unclogged, you may need to call the professionals at Bieg Plumbing. With 58 years serving the St. Louis area, there is not a drain in existence that we cannot unclog. Family-owned and operated, we look forward to hearing from you for any plumbing issue you may have. Spring means a lot of homeowners and businesses begin to make upgrades and repairs after the long winter. Plumbing systems while reliable should get some attention during this period. Here is a plumbing checklist featuring some of the things to look for while doing spring-cleaning. Drains. Check your drains by running water for a short period of time to see if it flows out without backing up. If it does, pour a mixture of vinegar and baking soda into it and allow to work for a few minutes, then flush it out with boiling water. This solution should remove deposits that cause backups. If your drain catches a lot of grease or oily fluids, try using hot water and detergent as it will attack the molecular structure more directly. Finish the drain service by covering them with mesh filters to prevent debris and hair from collecting in the pipes. Leaks. Since leaks can cause substantial damage and attract insects, it is always a good idea to make sure that you identify and fix them quickly. You can check for leaks by ensuring that all faucets and valves are off, then look at your water meter and take note of its reading. The next day, having not used any water overnight, recheck the meter. If you see a different number, it may mean there is a leak somewhere in your plumbing system. Pressure. Elevated water pressure can lead to explosive blowouts and severe damage. Normal water pressure should be 55 pounds per square inch or less. If it is higher than that, have a professional plumber install a pressure reducing valve. The valve will limit the amount of pressure in your system and eliminate the risk of blowouts. Water supply lines. Washing machines, some refrigerators, faucets, and toilets all use rubber supply lines to provide them with water. Check these lines for cracks, bulging, leaks or other abnormalities and replace if necessary. Unpleasant odor. 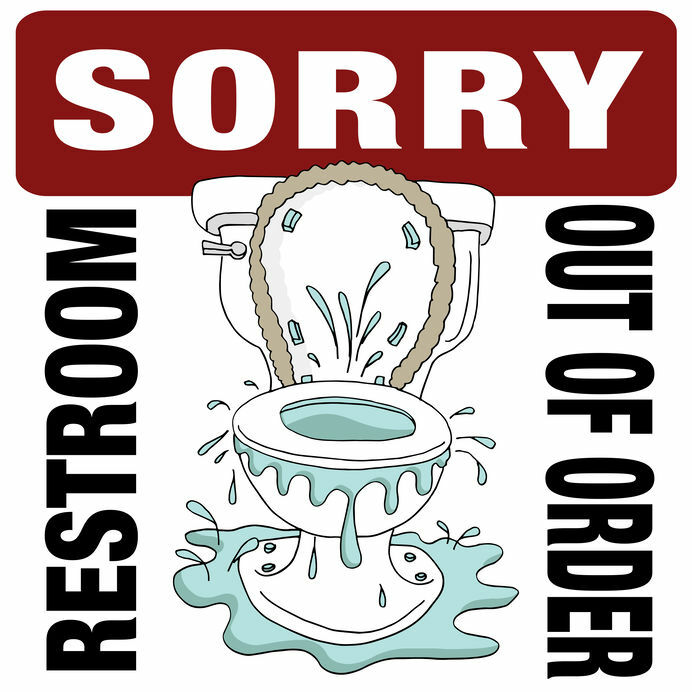 Occasionally, sewer gas or odor caused by bacteria will collect in plumbing pipes. An enzyme cleaner poured into the affected pipe will neutralize these odors. For added protection, you can install a backflow valve to prevent sewer water from getting into your drain pipe. If the odors persist, consider snaking the drain or pipe to remove any lingering debris. Sump pump. Periodic inspection of a sump pump is simple and straightforward. To check its condition, pour a gallon or two of water into the sump pit and watch to see if the pump activates. It should turn on instantly and after removing the water, shut itself off. If it doesn’t, it needs repair or replacement. Shut-off valves. Check if your various shut-off valves work as advertised with no leaks and freedom of movement in both directions. Water heater. Water around or under your water heater is not a good sign. That’s an indication that the tank is leaking and needs to be fixed to prevent water damage. Water heaters more than 6 years old are more susceptible to these types of leaks. 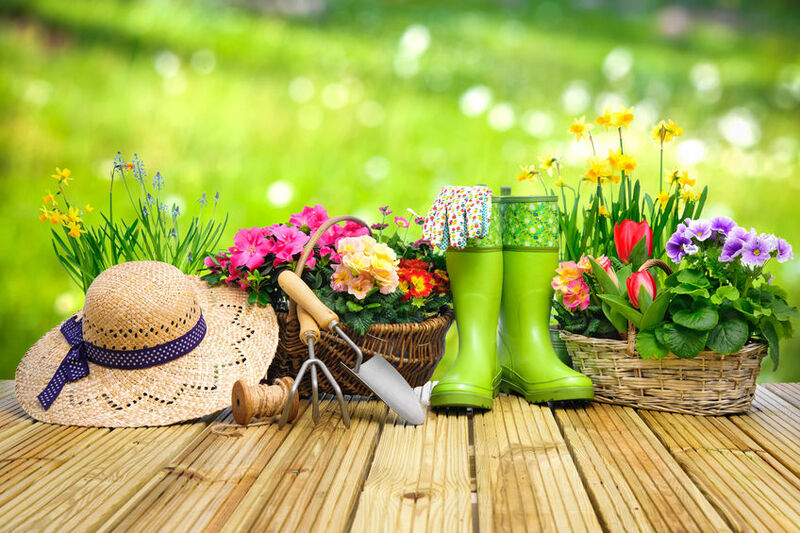 At Bieg Plumbing Company, we hope that you enjoy and have a productive spring season. Should you require any assistance with your spring plumbing checklist, or should you incur a leak or other problem, don’t hesitate to contact us. We have been helping homeowners and businesses in the St. Louis area deal with plumbing issues for nearly 60 years. If you are ready to give your plumbing a spring-cleaning, contact us to schedule an appointment. Clean water is something that many people take for granted. It is only through adherence to regulations and inspections that this standard can be maintained. One of the most important factors in ensuring that your home or business receives clean water is through the backflow prevention device. Backflow occurs when fluid pressure in a non-potable (not fit for drinking) pipe either drops due to external factors such as a leak, burst pipes or unusually high demand or rises to a level that overpowers upstream pressure. When this happens, there is a risk that impurities can enter potable (safe for drinking) water supplies. Backflow prevention can range in complexity, from a simple air gap all the way to a series of check and preventer valves. An air gap is simply a configuration that does not allow fluid from one source to flow into another source. A good example is a sink faucet, where even if a sink backs up, the faucet nozzle is high enough that water cannot flow back into the system through it. A backflow preventer device is designed to resist the pressure of an offending fluid source. Designed as a pair of check valves and an air gap fitting, these are used when contaminants may be under high pressure. Due to their mechanical nature, these devices must be inspected on a regular basis. Now that you know a little more about backflow and the way to combat it, please continue reading to discover our top three reasons to have your backflow system checked this spring. Contaminants are everywhere. Contaminants from fertilizer runoff, chemicals from industrial processes, fire protection fluids and common household cleaners all pose a risk to your potable water. Homes that have lawn irrigation, inground pools, dishwashers, washing machines, and boiler heaters should definitely have a backflow preventer installed. Testing is the law. Backflow testing is required by the EPA and local municipalities. Only certified professionals can inspect and test backflow preventers. The test consists of a plumbing professional pressurizing your water system. Then they look to ensure that every component is operating as designed. If the valves are not able to hold back the minimum pressure required by law, that means the preventer is unable to protect your potable water. At this point, the preventer must be repaired or replaced. Reduced liability. Facilities that have water fountains, soda machines, suppressors and sprinkler systems all run the risk of any possible backflow getting into potable water or food. Businesses can ensure legal compliance by having a backflow test performed and documented. At Bieg Plumbing, we are able to perform any backflow testing that you may require. Restaurants, schools, businesses and homeowners in the greater St. Louis area have trusted us for nearly 60 years to ensure that their potable water is free from contaminants. If it is time for your backflow preventer test, please, contact us at 314-487-4564 today. St. Louis, Missouri, February 25th, 2019– Bieg Plumbing is proud to announce that it has earned the home service industry’s coveted Angie’s List Super Service Award (SSA). This award honors service professionals who have maintained exceptional service ratings and reviews on Angie’s List in 2018. Angie’s List Super Service Award 2018 winners have met strict eligibility requirements, which include maintaining an “A” rating in overall grade, recent grade, and review period grade. The SSA winners must be in good standing with Angie’s List, pass a background check, record a current trade license attestation and abide by Angie’s List operational guidelines. Bieg Plumbing Company was first listed on Angie’s List in 2003. This is the 3rd consecutive year Bieg Plumbing has received this honor. Looking for a plumber you can trust? Call Bieg Plumbing at (314) 487-4564. Serving the St. Louis area for over 55 years! Leaks, whether in residential or commercial buildings, come in two general varieties: indoor and outdoor. Each one requires a different approach when looking for the source of the problem. Inside your home, leaks can happen anywhere, especially in hard-to-reach places that you wouldn’t expect. Some examples are tiny leaks in bathroom plumbing or leaks in a toilet. Both of these leaks are easy to overlook unless you know where to look. Bieg Plumbing can give you a comprehensive diagnosis of exactly where your problem has occurred, but before we arrive, here are a few tips on how to find an indoor leak. As a general rule, always start looking for leaks at the lowest level of a structure, such as a basement or a crawl space. Leaks in basements have a tendency to pool on the ground, which can seep into wall baseboards. If walls have already started to crack and buckle near the baseboards, call Bieg Plumbing ASAP as this may signal a greater problem with your plumbing. In the worst case scenario, damage to baseboards may be a sign of foundation damage caused by underground leaking. Any appliance that connects to a building’s potable water system, such as a dishwasher, can also be the source of a leak. A leaking washing machine connection is yet another place to look for problems. Often, appliance leaks are so small that you won’t notice them until they’ve damaged flooring. Most people start their search for leaks at sinks and faucets, but these are obvious culprits and should come last after you’ve tried hard-to-reach places. A toilet can be leaking from the tank into the bowl at the overflow tube, which is difficult to detect since it’s so subtle. Leaks outdoors often occur at fixtures that connect to your community’s potable water supply. Among many other possibilities, swimming pools, sprinkler systems, and spigots are notorious sources of outdoor leaks. Any valve leaks over time, so to find an outdoor leak, start where water enters a building as these systems regulate water pressure. Too much pressure can cause valve leaks at spigots in particular, which may only show as a tiny, gradual drip. Exposure to freezing temperatures in winter can also cause outdoor valves to degrade. Without proper irrigation, a swimming pool or a sprinkler system can be the source of leaks. Outdoors leaks often have no visible symptoms, such as soft, muddy ground. An underground outdoor leak can spill dozens of gallons of water per hour without a single sign that something is wrong. That sign for the unlucky few is structural damage to a building’s foundation, so if you have any concern about an outdoor leak, call us ASAP. At Bieg Plumbing, we’ve seen leaks occur just about anywhere. If you follow these tips and still can’t find a leak, let us know, and we’ll fix it after a full diagnosis. Lead is a toxic metal that has harmful side effects when ingested. It is especially dangerous to children, as they absorb four to five times the amount of lead that adults do. It can cause problems to your nervous system, high blood pressure, kidney damage, and even severe brain damage. It is definitely not something that you want in your family’s drinking water. The Safe Drinking Water Act went into effect in 1974 to ensure Americans had access to high-quality drinking water free from harmful contaminants. In 1986, amendments were made to the Safe Drinking Water Act that set the standards for lead-free plumbing. “Lead-free” meant that the solder and flux used in plumbing fixtures should not contain more than 0.2 percent lead, while pipes and pipe fittings could have no more than 8 percent lead. These definitions applied to all plumbing that was in contact with water intended for human consumption. An 8 percent lead for pipes was generally unacceptable. In 2011, the law lowered the threshold considerably when Congress passed the Reduction of Lead in Drinking Water Act. It stated that after a three-year acclimation period, the amount of lead acceptable for pipes sold should be from 8 percent to 0.25 percent. Any pipe used for the transport of potable water sold after 2014 should meet these new guidelines. The new piece of legislation also relaxed lead standards for pipes that would not ever come into contact with potable water, such as industrial piping. Since these pipes would not be transporting drinking water, it mitigated the dangers of lead present in such fixtures. St. Louis plumbing code states that, “All damaged lead water services, residential and/or commercial, shall be entirely replaced with copper or other acceptable material.”. This means if you own an older property in which you experience an issue with your pipes or main service line, and we find that the pipes or solder contain lead, we must replace the entire line with an acceptable material. It isn’t a suggestion, it’s the law. And it’s in place to prevent lead from leaching into your water supply. Luckily, here in St. Louis, the municipal water is very safe. State regulations say that water must be tested for lead a minimum of 50 times every three years. Around 90 percent of the samples must contain less than 15 parts lead per billion (ppb). In 2014, a total of 90 percent of the samples had only 1.1 parts per billion. This means the drinking water in the city of St. Louis more than meets state and federal regulations on the legal amount of lead present. So, the main thing you need to worry about is your residential (or commercial) lines if the property is old. Keep your family safe and healthy by replacing lead pipes and fixtures as soon as they’re found. Bieg Plumbing has over 60 years of experience in replacing water lines, and we will make sure we do the job properly and with the best materials. Safety is the most important concern when talking about drinking water, so don’t hesitate to call us if you suspect your pipes contain lead. We offer free estimates, and we can set up a consultation as soon as possible. When a plumbing problem threatens to ruin the day, don’t worry because our red trucks are on the way! There aren’t many moments in everyday life as terrifying as when you attempt to flush a toilet and the water level keeps rising. Panic sets in quickly as visions of what the near future could hold flash through your head. Worst case scenarios can usually be avoided, however, by learning what needs to be done in those precious seconds after you realize the water level is still rising. Quickly removing the lid from your toilet’s tank and placing it in a safe place. In the bottom of the tank, there should be a circular hole with a flapper valve, or stopper, plugging it. If the stopper is in the up position and water is still flowing into the bowl, reach your hand into the tank, grab the stopper and plug the opening. This should stop the bowl from continuing to fill. If the stopper is in the down position and working properly, you need to raise the float mechanism in the tank above the water line. This should stop the flow of water into the tank. If both of these options fail, find the water shut-off valve, usually located near the floor at the back of the bowl, and turn the handle clockwise until it is tight. This will completely cut the water to the toilet. Make sure to not over tighten the shut-off valve, as this could cause it to break. Then, you’d need to close the main water valve to the entire house in order to stop the overflowing. Make sure that you know exactly where these valves are in your home so that you’re prepared in the event of a plumbing emergency. Once the water has been stopped, it’s time to deal with the issue. If there is an obvious clog, you can attempt to use a plunger or toilet auger to clear the blockage. 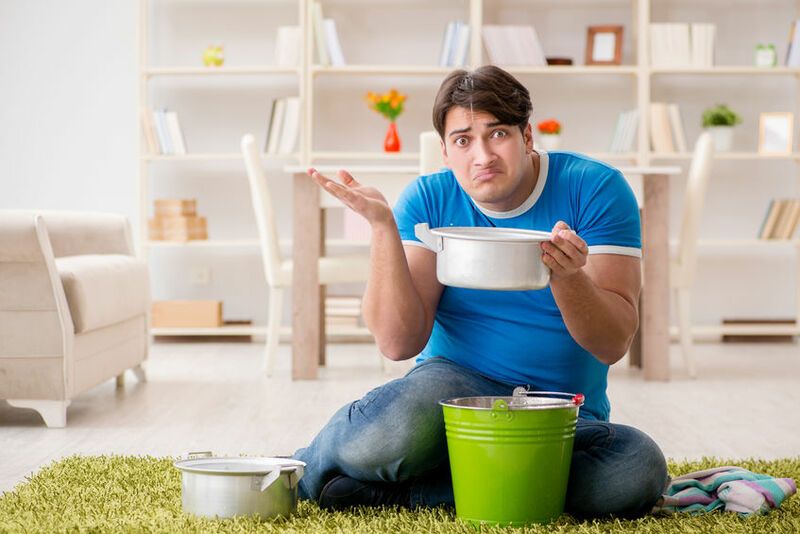 If the water has risen near the rim of the bowl and plunging could cause it to spill over onto the floor, trying waiting a few minutes to see if it will drain enough to continue. If it isn’t draining at all, you will have to put on rubber gloves, grab a cup that you never drink from and transfer some of the toilet water into a bucket. Once the situation is taken care of, you can put the water back into the toilet and flush it. Afterward, be sure to disinfect the bucket, the nondrinking cup and anything else that has come into contact with the toilet water. If no clog is visible, check the other toilets and drains in the house. If more than one toilet won’t drain, the problem could be deeper into the pipe system. For these situations, you’ll want to call in the professionals. Bieg Plumbing is a family-owned business that has operated in the St. Louis area for nearly 60 years. Needless to say, we’ve seen it all. We can help you fix any problem with your toilet or pipes. Our expert technicians are available 24-hours a day, so we can get you out of that jam no matter the time. Shutting off the water supply. When you see water gushing or overflowing, the most important thing to do first is to cut the water supply to reduce the change of severe damage. There are usually two different shut-off valves that can accomplish this. Your house valve is normally located in the basement, garage or on an exterior wall of the house near other utilities. Closing this keeps water from flowing into the house. The second option is closing the valve at your water meter. This prevents water from even flowing through your main line to your stop box. Make sure that you know where both of these valves are and have a plan in case of an emergency. Turning off your water heater. Even if your situation does not directly involve a broken water heater, if you’ve followed our first tip, you could be putting it at risk. Water heaters need to be completely filled to work properly. When you shut off your water, your water heater will be drained. So if you leave it on, you could be causing it serious damage. Closing your isolation valves. If your issue is located at a faucet, sink or toilet, there are usually individual valves that can be shut off. This isolates the problem and will stop the gushing while still allowing the rest of your home to continue to have water. Check underneath the faucets or sinks and behind the toilet to find these valves. Opening outdoor spigots. Once you’ve closed your shut-off valve, the water that is still in your pipes has to go somewhere. You don’t want it going to your problem area and contributing to more damage. To reduce water pressure and give the water more outlets, open your outdoor spigots. Calling in the experts. Since water emergencies can be such important situations, you are going to want to get the advice of a professional if there is no obvious fix. Toilet or drain clogs can usually be fixed by the homeowner through the use of a plunger or drain snake. Anything more serious than that and you’ll want to call a plumber to ensure an appropriate fix. Bieg Plumbing has served the St. Louis area for over 60 years and has helped thousands of homeowners like you get out of tough jams. If you find yourself in a plumbing emergency, time is of the essence. Contact us and one of our expert plumbers will be on the scene to assess the situation correctly and get it fixed quickly. Out of luck? Call in the red truck! It’s inexpensive. Usually around $300 to $350 for a thorough video inspection, it is something that isn’t going to break the bank. Replacement is extremely expensive. If there is a problem, you’ll be glad that you paid the initial inspection cost! If caught early enough, you may save yourself some serious money. A full replacement can run $15,000 or more, but repairs are considerably less. Unfortunately, however, sometimes a replacement is necessary. It’s not part of a standard home inspection. The last time that you had your home inspected was probably when it was originally purchased. Even if you’ve had it inspected since then, sewer line analysis is not included in a standard inspection. It’s quite possible that you’ve never had your sewer lines look at! This is quite a risk since you could have serious problems that have been festering for years. You may need to replace Orangeburg pipes. Orangeburg pipes were popular with home builders in the 1950s. It is piping made from layers of compressed wood pulp that is sealed with tar. It was expected to last for as long as 50 years, and for many people, it did not last nearly that long. So if an inspection finds that your sewer line is constructed from Orangeburg pipes, a full replacement will be needed immediately or in the near future. You may stem off root growth. One of the most common causes of sewer line failure is root growth. Small roots squeeze into the cracks of your piping and cause blockages. A thorough inspection may be able to find problem areas or sections of roots that could cause future issues. You can then break up these roots before the damage occurs, saving you a lot of money down the line! You will have peace of mind. After a professional inspection, you should have a great idea about what condition your sewer line is in. Sewer lines are built to last, and if your pipes are in good shape or have been replaced recently, you can expect few problems in the near future. As long as you have them checked periodically to catch potential issues quickly, they will usually last decades. Hopefully, you can now see the importance of having your sewer lines inspected this summer. Something so simple and inexpensive can save you huge headaches later. Bieg Plumbing has over 60 years of experience in the business and is happy to assist you with your sewer line inspection needs. You can expect a courteous, trained professional who will give you an honest appraisal of your situation. Set up an inspection today!